Tonga National Badminton Association (TNBA) was established in May 2009. Tonga is made up of 170 islands – a population of 105,000. In 2010 TNBA became a BWF member and began to receive development support from the BWF and Badminton Oceania (BO). 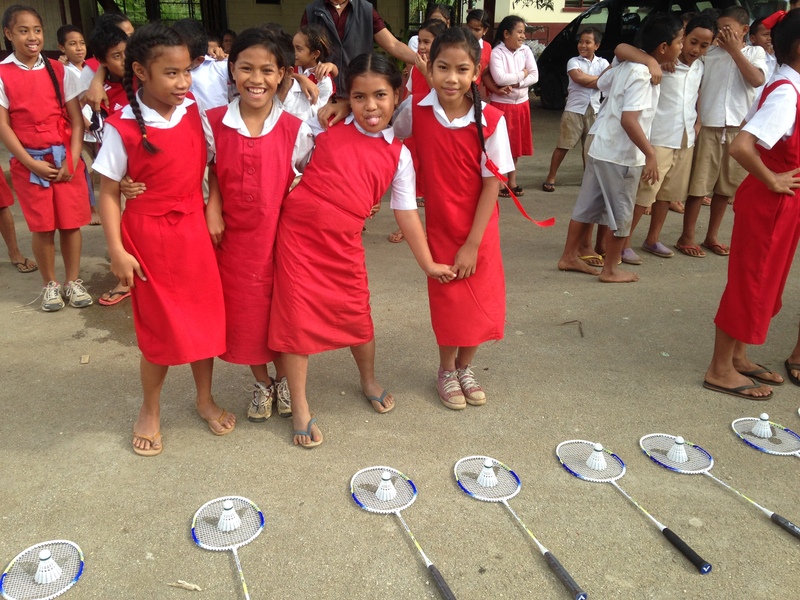 The Ministry of Education in Tonga quickly realized the potential of Shuttle Time and endorsed badminton as a sport on the school curriculum. This endorsement was essential for sustainability. In partnership with the Ministry, BO started systematic training of tutors and teachers and provided schools badminton kits for each school involved in training. A boost to the programme came in 2013 when the Australian Government extended its Pacific Sports Partnerships (PSP), funded by the Australian Department of Foreign Affairs and Trade, to include badminton. The PSP is a programme designed to support Pacific Island sports organisations and improve their capacity to deliver development through sport programmes. The Australian Government recognised the value of TNBA Shuttle Time programmes and badminton was selected as one of the PSP sports and funded by the Australian Department of Foreign Affairs and Trade. This new partnership further enhanced the sustainability of Shuttle Time in Tonga. Increasing regular participation of Pacific Islanders in grassroots sport activities. Improving health-related behaviours of Pacific Islanders through increased levels of physical activity. Improving attitudes towards, and increasing inclusion of, people with a disability in Pacific communities. Local Shuttle Time tutors were educated and badminton equipment was sent to TNBA. Tutors then began delivering training and equipment to teachers and schools on the main island of Tongatapu, as well as outer islands including Vava’u and Ha’apai.